Mirage is part of an art installation series called “Desert X” which features site-specific work by new and emerging artists curated by artistic director Neville Wakefield. 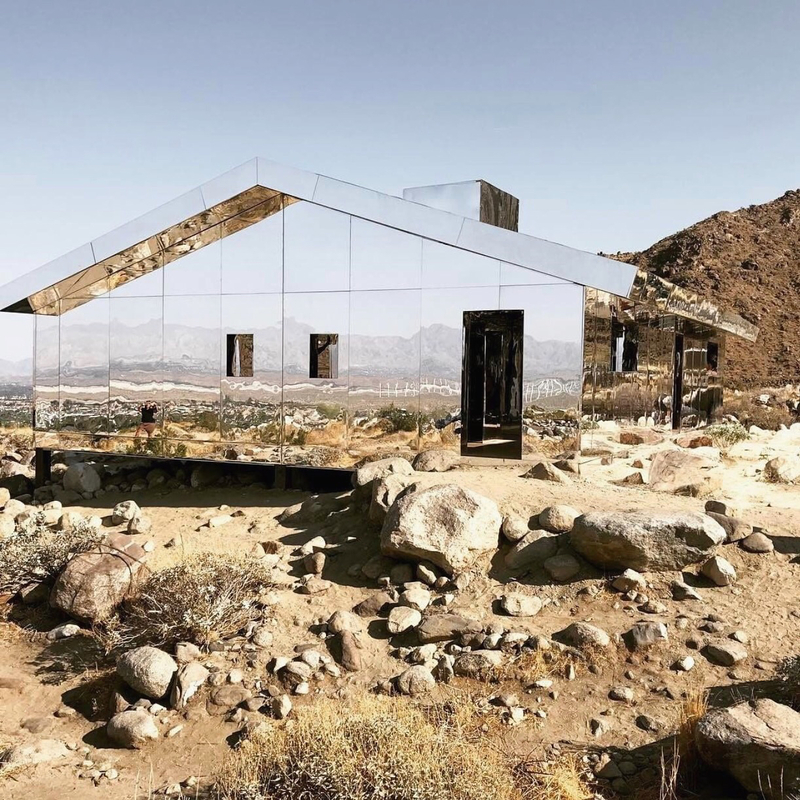 As part of the exhibit, California-based artist Doug Aitken created a house of mirrors inspired by Frank Lloyd Wright and the American West. Situated at the junction of the San Jacinto Mountains and the Coachella Valley, Mirage acts as a kaleidoscope to reflect and distort the surrounding arid and beautiful landscape.